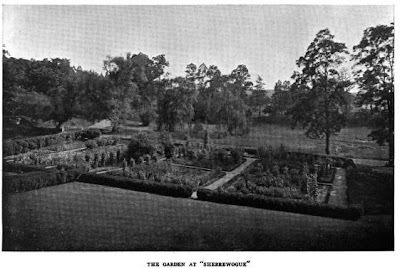 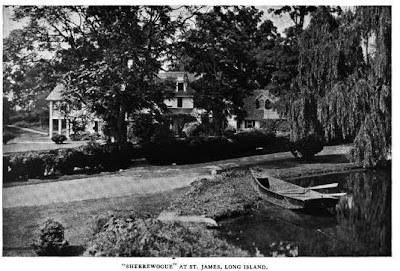 'Sherrewogue', the Devereux Emmet estate enlarged by Stanford White c. 1895 in St. James. 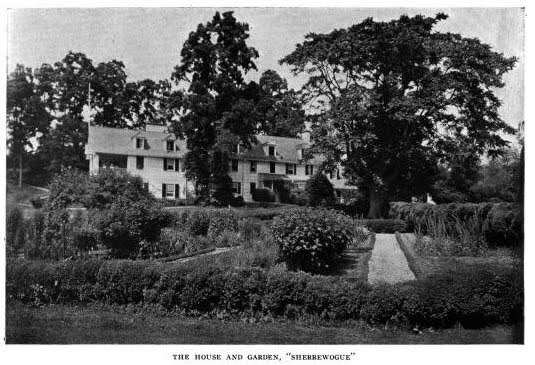 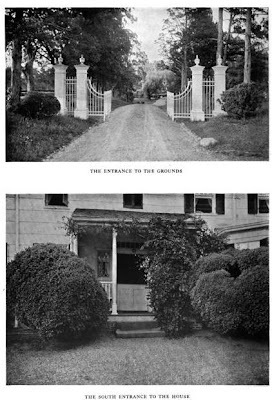 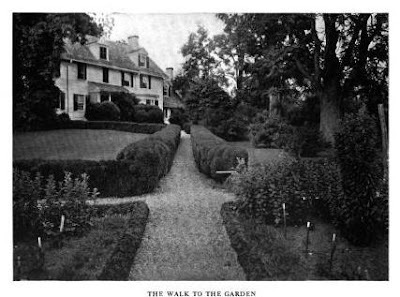 Emmet, an avid horticulturalist and prominent golf course designer in NY was White's brother-in-law and had him design alterations to the c. 1688 Adam Smith house that had been added on to numerous times over the centuries. White added an additional wing which included a sitting room, master bedroom and piazza. He was also responsible for the garden and entrance gates and drive. Click HERE to see 'Sherrewogue' on google earth. 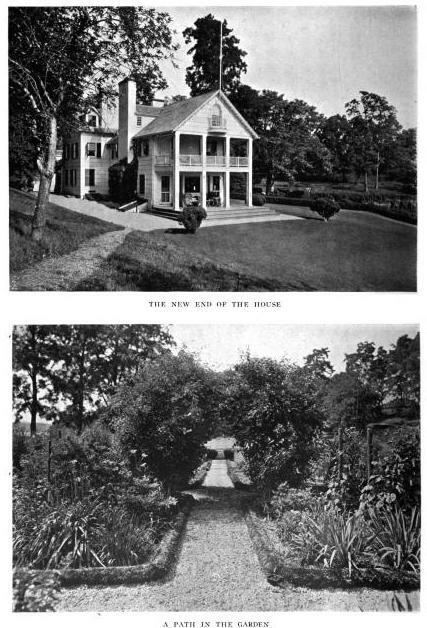 Pictures from American Homes and Gardens, 1910. 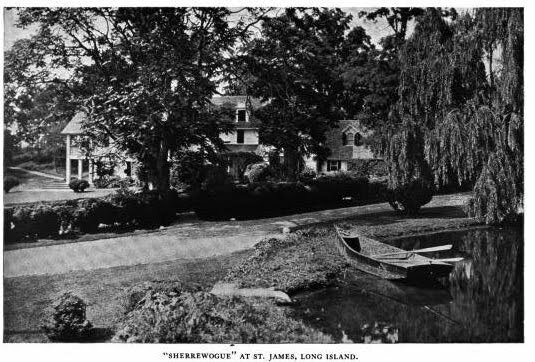 Everything Stanford White did was fantastic: the houses he designed, his amazing mustache, and his untimely--but romantic--death.